Save at least 10% and take the guess work out of what to order with our pre-selected bundles. 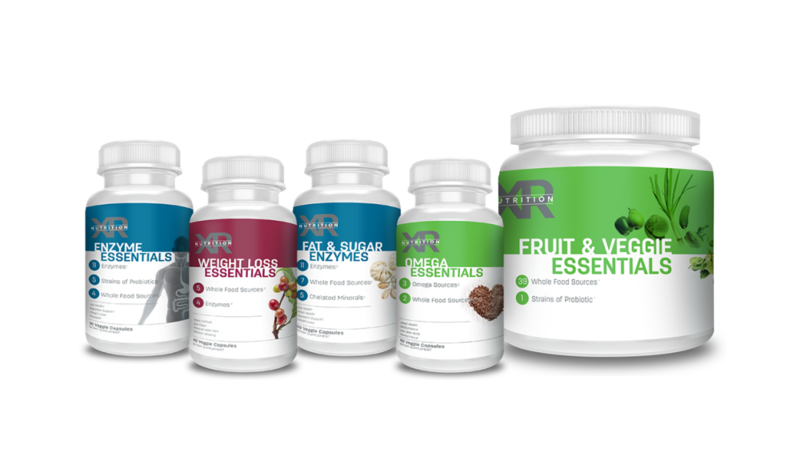 ​Products bundled to address the most common issues such as aging, weight loss, daily essentials, energy, gut health, heart health, natural health and physical performance for the new, weekend or professional athlete. We only use whole-food sources with absolutely no chemically created synthetic sources like many typical supplements on the market. For example, we use ingredients like Acerola cherries as a source of Vitamin C, where others use the synthetic version called “ascorbic acid.” Absorbic acid has been shown to actually rob your body of key nutrients. All our products contain a complete blend of vitamins, minerals, and whole-food ingredients, with many containing probiotics and their own plant-based enzyme delivery system. We only source plant-based enzymes, not animal-extracted enzymes. 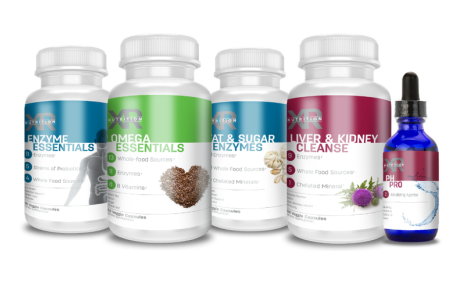 Our enzymes can enhance they way you digest the foods and utilize the nutrients. Our products contain multiple types of enzymes that provide a more comprehensive digestive support. Check each bottle for details. Our stabilized probiotics do not require refrigeration. They also contain a broad spectrum of strands, include prebiotics, and are in the highest quantities in order to properly support your digestive and immune health. Every formula uses pure sources of chelated minerals that offer the highest levels of absorption. Chelation is the process that attaches a mineral to an amino acid making it easier for our bodies to utilize. Age well bundles will provide you with nutrients that have been shown to slow the bodies aging process. Included nutrients provide your body with a natural source of whole food sourced powerful antioxidants, omegas, vitamins, and minerals and 8 servings of fruit & 8 servings of veggies in our Fruit & Veggie Essentials. A bundle that will naturally assist in regaining and supporting a healthy gut. These whole food sourced supplements provide a powerful blend of stabilized probiotics, unique blend of enzymes, and a delicious blend of fruits and veggies to aid your digestive tract. Multi Daily - As a dietary supplement, take 2 capsules daily or as directed by a health professional. Pure Iron - Pure Iron uses a highly absorbent, stomach gentle formulation of chelated iron minerals that safely aids in the production of power, mental clarity and helps eliminate symptoms relating to anemia, headaches, migraines, and weakness. Fruit & Veggie Essentials (8 servings of each fruits/veggies) 1 scoop once daily. As a dietary supplement, blend one level scoop with 6-8oz. with a liquid of choice. Feel free to also add it to smoothies, yogurt, hot or cold cereals or baked goods. Add to Pure Nutrition or Protein+ for a superior blend of all the essential nutrients the body needs on a daily basis. Perfect for mixing with your favorite smoothie recipes. Pure B Power - Created to help fuel the body by providing a pure source of B vitamins for power and balance. As a dietary supplement, take 1 capsule twice daily with meals or as directed by a health professional. 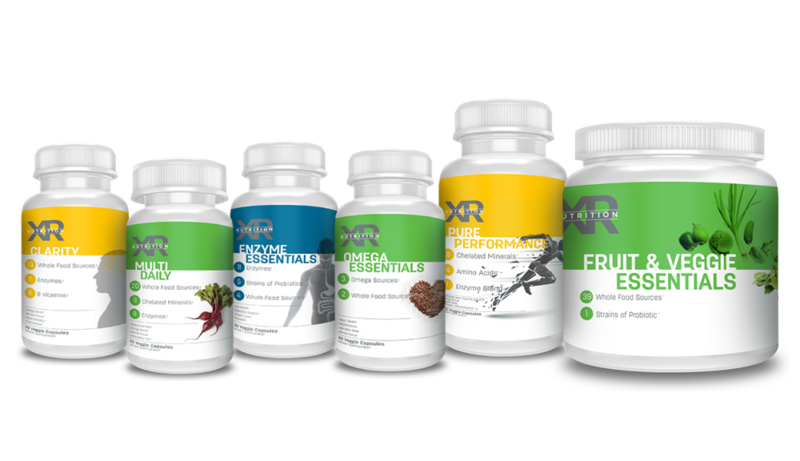 The weight loss bundles will provide your body with natural weight loss and appetite suppressants and powerful enzymes that ensure nutrients are properly digested and utilized rather than stored. Provide your body with non-synthetic whole food sourced nutrients. The Daily Essentials bundles will provide your body with essential nutrients, especially antioxidants, which improves resistance to disease, protects your cells from the damaging effects of free radicals, and boosts your immune system. Whether you are just looking to increase your energy or energy and performance, these bundles will help. Our Energize bundle promotes increased energy levels, metabolism, mental clarity, decreased join pain, decreased blood sugar levels and faster injury and recover times. Our Performance bundles will help you build muscle, perform better, recover quicker, and stay energized in a more natural way. Provide your body with a natural source of vitamins, chelated minerals, and the highest quality of BCAA’s. Feel fatigued? Tired? 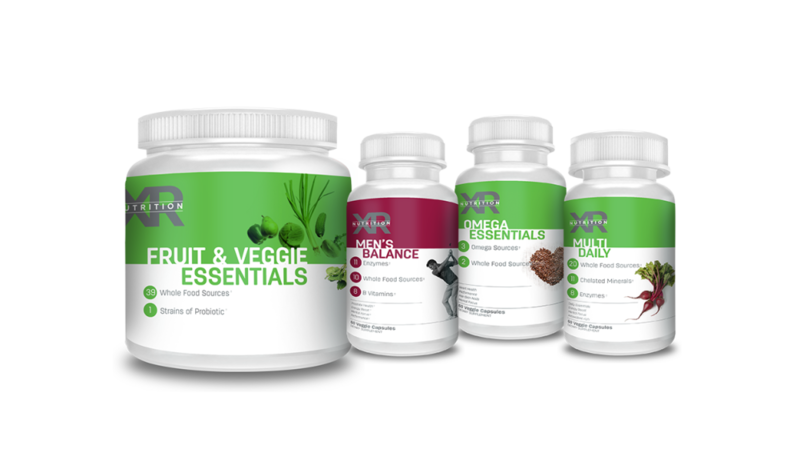 Re-energize naturally with XR Nutrition. These three products give you the combination of key vitamins, minerals and iron from whole-food sources to provide you with a healthy alternative to provide you with the energy you need to get through your day. Pure Performance (Fast Recovery/Lean Muscle Builder) - Helps promote lean muscle growth and faster recovery time and helps alleviate muscle pain, aids in maintaining muscle strength and definition. 4-5 capsules pre & post-workout. OR 3-4 capsules twice daily on rest days.